You are here: Home / DICE Blog / BAD DICE: Jonathan Pollard – a spy for Australia? BAD DICE: Jonathan Pollard – a spy for Australia? 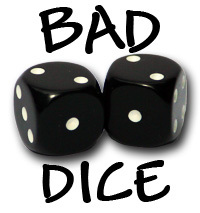 It’s time to start calling them like we see them: Good Dice and Bad Dice. The first Bad Dice has to be Jonathan Pollard. It’s been revealed that when Pollard first starting spying, he provided classified information to — AUSTRALIA! But they turned him down so he tried another country, Israel, to see if he could get money from them, which they gave him. Pollard also admitted giving classified information to South Africa. So much for his lies portraying himself in the public as spying to protect Israel. Pollard was just like many other typical spies, in it for the money and adventure. He didn’t care who paid him as long as he was paid. This recent revelation only confirms why Pollard, and other spies who betray America, should never be released.